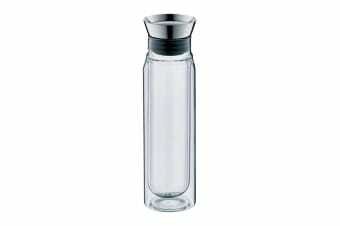 The Thermos Alfi Single Wall FlowMotion Glass Carafe is made from strong borosilicate glass. This glass carafe comes with a lid that enables steady and safe pouring on the go. It has a self closing lid and integrated strainer, which can hold back pieces of ice and fruit.